I'm Aimee - founder and creator of Luminary Fern. And I want to shoot your wedding. Really. After creating The NP Event Space I couldn't stop craving something more like my original studio (now the loft suite) with lighter tones. Anyone that knows me will tell you that my favorite color is white, but I am still a sucker for all beautiful colors and tones. And I was a photographer first (hello - that's why I try to make everything so pretty - EVERYWHERE). I love beautiful moments, romance, details, happiness and sunshine. I let my photography flow with each wedding and couple and who they are with what they are looking for. I want my bride especially to look back at her wedding images and feel more beautiful than she has ever felt. Kate's the best and we love her. 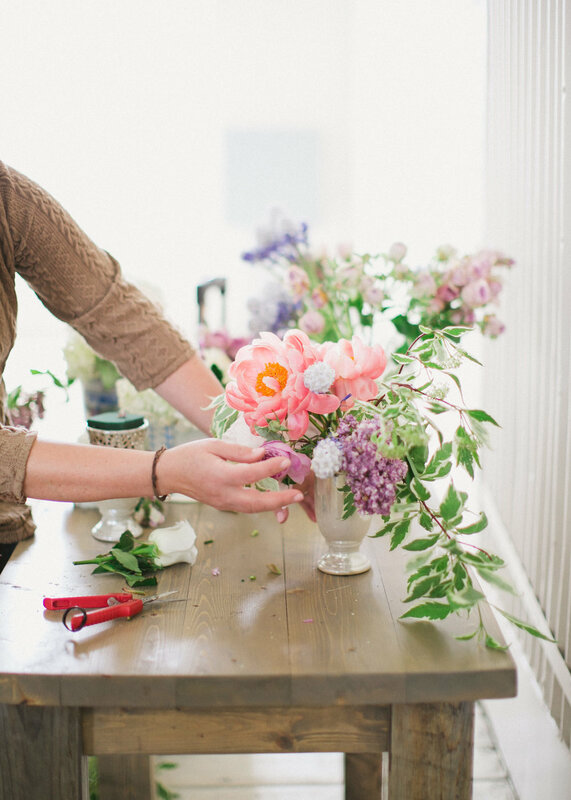 She provides everything from floral and event design to full service event management. 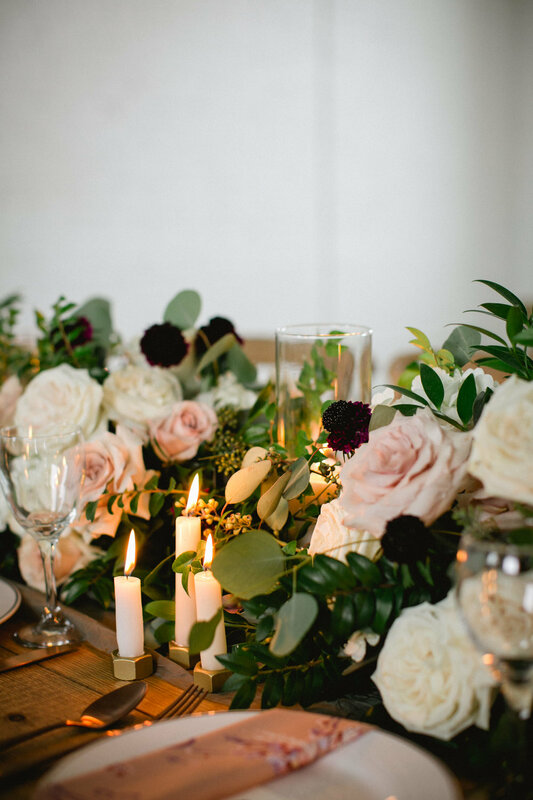 While Kate is known for her incredible flower skills, she also offers design, decor and planning. I am a florist, a designer, a mother to three incredible daughters, a wife and the owner of Bloom Designs. I cherish all of these roles and my amazing couples and clients who make my career as a florist and event stylist possible. Bloom Designs is my labor of love and I am dedicated to creating signature weddings and stylish events. I pride myself on working with any budget and making sure your day is every bit as special as you imagined. My goal is to create floral arrangements that compliment the uniqueness of the couple walking down the aisle. I love working alongside my brides, couples and other clients to create an end-product that is all they imagined and more. I make my home with my family in the Brainerd Lakes and absolutely love each and every unique couple that I have been able to share in their special day over the past 5 years and look forward to many flower filled years to come. 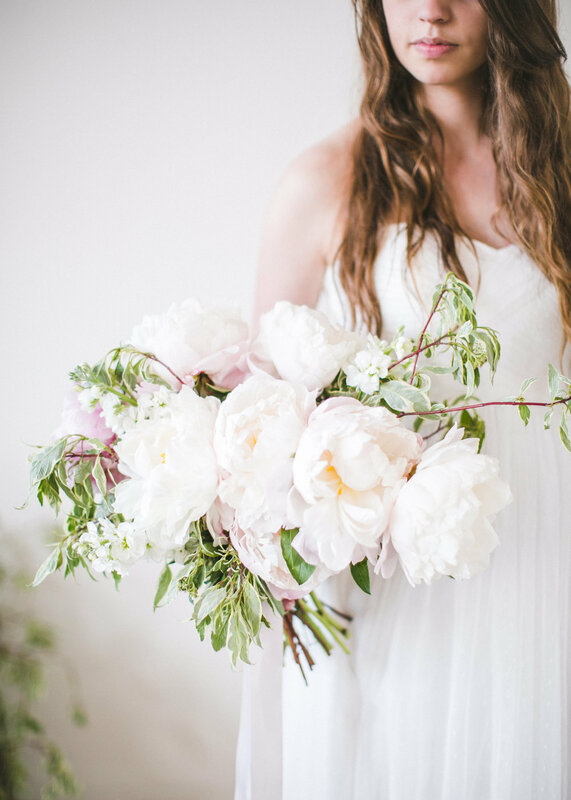 If you are looking for a florist to create artisan floral arrangements that are fresh and timeless, I can't wait to hear from you and bring your dreams to reality! Sabrina is a past NP Bride and we absolutely adore her. She's all about stress free wedding days. Sabrina has been in the event world for 10 years. What started as a quest to put on the best homecoming the University of Minnesota had seen turned into an internship with a wedding planner and the rest is history. Over the last 10 years, she has had the opportunity to plan events for 10 - 10,000, each with their own unique set of needs and size of budget. If you meet her, ask for a cake recommendation and then set a timer. She’ll give you 12 bakery recommendations and tell you the cake texture and kind of frosting each uses. While nothing makes her more happy than a great wedding cake, Sabrina knows that in the end, a wedding day isn’t about the decor (or the frosting) it’s about you marrying your partner for life and her focus throughout the planning process will be on ensuring you get to enjoy and take in the full wedding day. Kathy Bjork and her team at The Fine Line Salon and Spa are ready to make you and your ladies look their best on your wedding day. Their experienced group of Aveda professionals set up on-site in the bridal suite and offer hair and makeup, nails, massage and even a hair package for your groom too! Planning on being off-site on the wedding morning? Schedule your appointments at The Fine Line's historic salon just a few minutes from here. We love Prairie Bay Grill & Catering. Besides having the best food in the area, their service and catering staff are second to none. They smoothly operate weddings and events without a hitch, providing excellent customer service and food your guests will never forget! Black Woods Catering is simply the best. We love their constantly friendly and courteous staff, attention to detail, and picture perfect food! Whether you are working with a budget or not, Black Woods will work with you to create the food of your dreams. Sage on Laurel is ideally located in the heart of our downtown Brainerd. Sage can provide everything from sandwich platters, to traditional plated service, delicious buffets, or even brunch catering for up to 250 guests! They put a unique twist on comfort food that will leave your bellies full and happy!! They are willing to do whatever it takes to make your event perfect. Short Stop Custom Catering has been perfecting their methods for over 22 years. They offer everything from local farm-to-table options to gourmet, imported items, their custom wedding catering abilities are endless. The caterers above have a proven track record of being amazing on all levels AND they respect our building and policies. They take great care of our historic building while exceeding service standards. If you wish to use a caterer other than one of the four listed above there will be a $1,000 catering fee. Please contact us for catering policies and invoice before signing a contract with another caterer. Huffington Post published an article about the reasons to be happy about exclusive catering and they were all spot on. 1 - Professionalism. Their staff is experienced and has handled many weddings and events before yours. They know their stuff. 2 - Liability. They are insured and hold the liquor license. They follow food safety code as well as have a catering manager making sure nothing goes wrong. 3 - Choice. They have amazing selection. Their wedding favorites are favorites for a reason (because they are incredibly delicious! ), but also if you have something special in mind just ask! 4 - Quality. It takes skill to produce large amounts of food while keeping the level of quality you would expect from an individually cooked meal. Besides that - their general food quality is fresh, often local and delicious. Food related communication (quotes, tastings, etc) will be handled directly with these caterers and is not priced through Luminary Fern. These caterers provide a full range of pricing options.